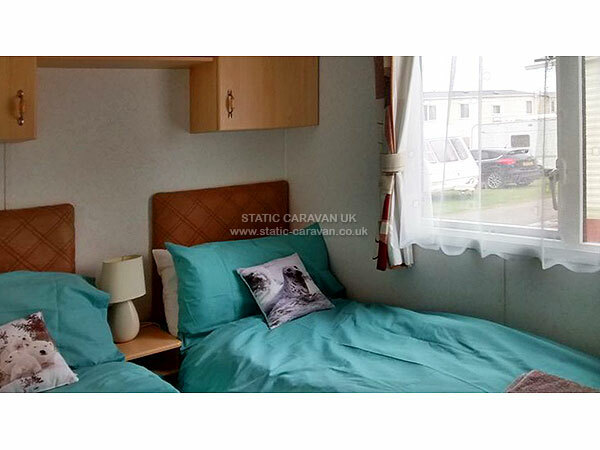 This comfortable family van has a large open plan loung / diner / kitchen. 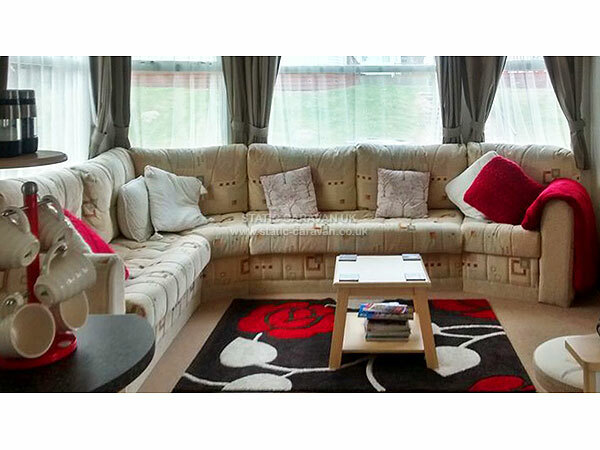 The lounge has a free view TV with integral DVD player, a CD radio and a fitted electric fire. The van is centrally heated. 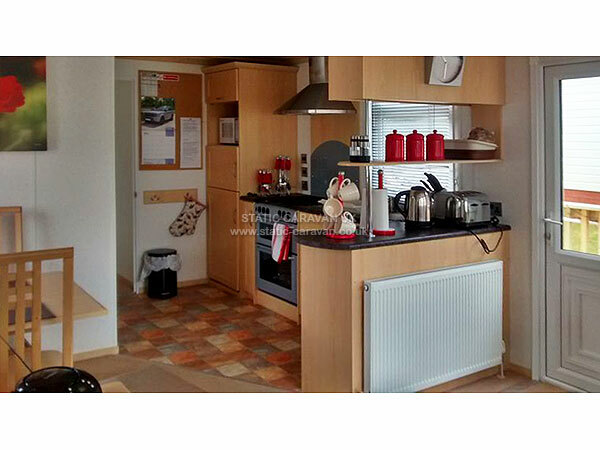 The well equipped kitchen includes a gas cooker, a microwave and an electric fridge / freezer. 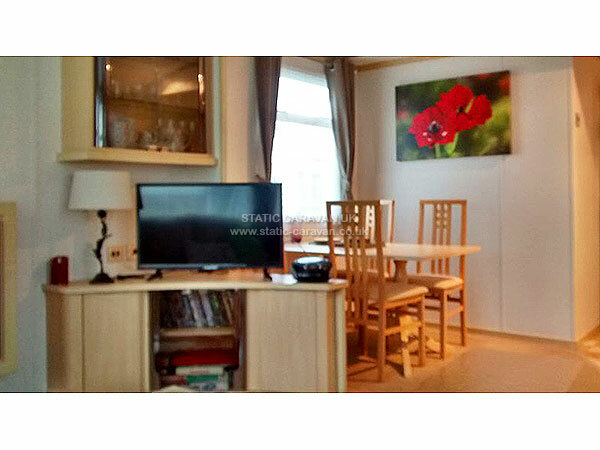 The double bedroom has fitted storage with an en-suite shower room with WC and wash hand basin, which also opens into the hallway. There is a separate Wc and hand basin off the hall. 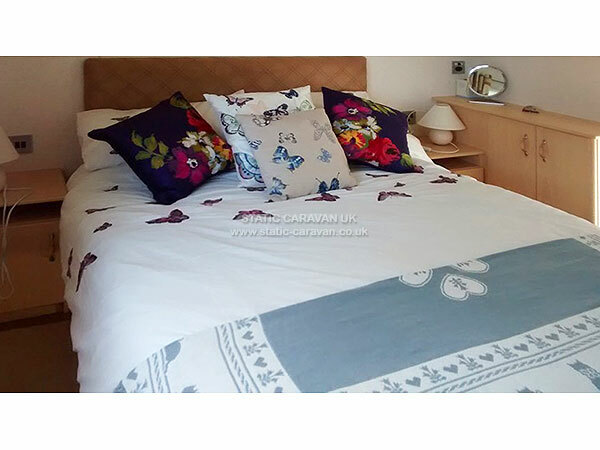 The second bedroom comprises twin beds and fitted storage. 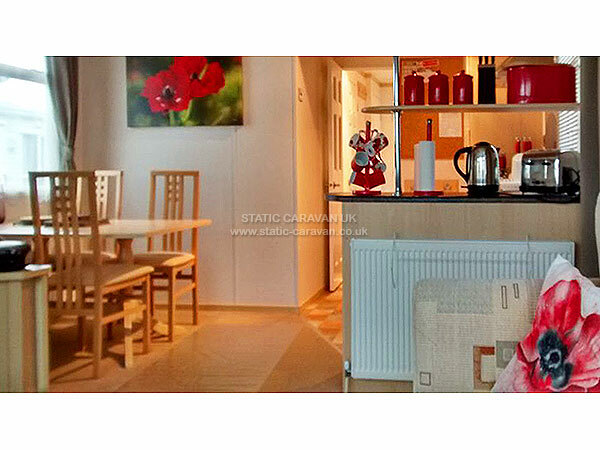 Linen, gas and electric are included in the price. 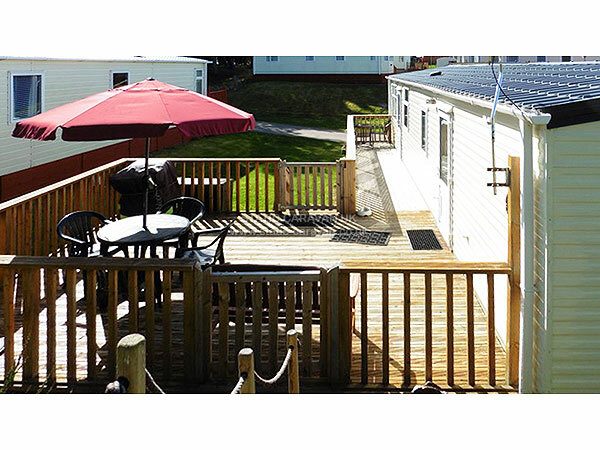 Outside has a large secure decking area with patio table, chairs, umbrella and drier. 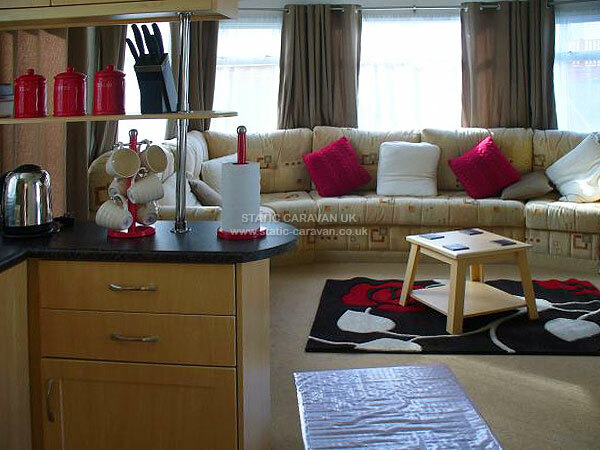 £50 deposit on booking, balance 2 weeks before arrival. 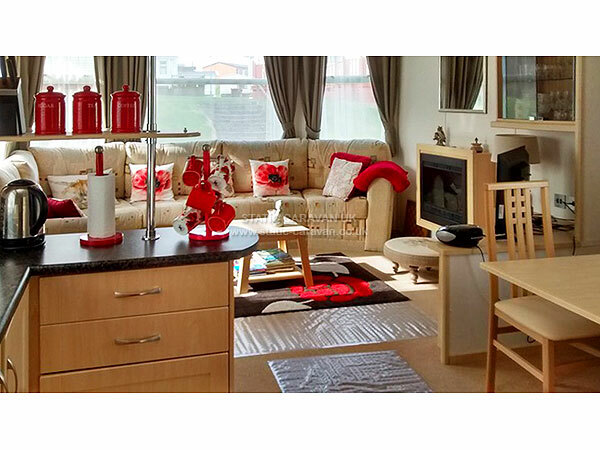 Burghead Beach Caravan Park may have limited on-site facilities but there are numerous facilities within easy walking distance! 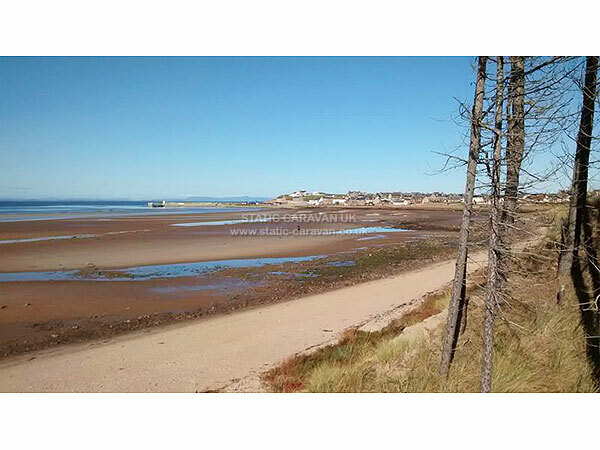 The park is located on Burghead Beach giving stunning views of the Moray Firth coastline and harbour area of Burghead. 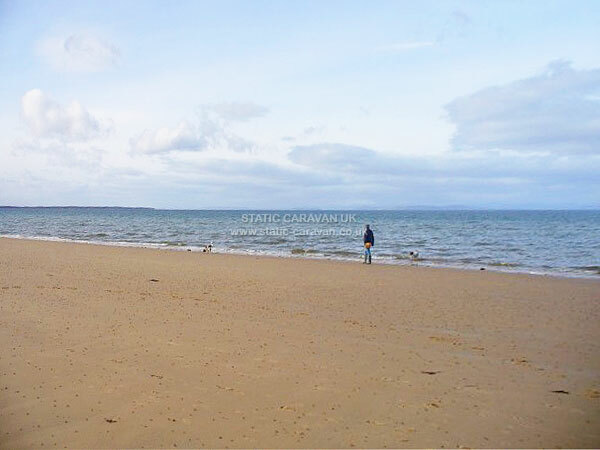 5 miles of golden sandy beach is on your doorstep, excellent for walking or just relaxing. Roseisle Woodland Picnic Area is also easily accessible from the park or beach, an excellent woodland area for walks or play with access to barbeque equipment. Burghead is a beautiful coastal village with many amenities including local shop, pharmacy and 3 pubs providing excellent meals at very reasonable prices. 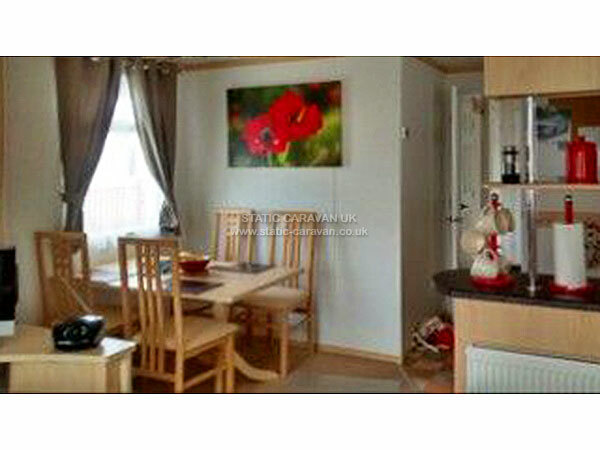 There is also a large play park and sports ground, and a local outdoor bowling club a short distance nearby. Burghead also has the well documented 'Pictish Site' and Burning of the Clavie at Doorie Hill, which has become a very popular tourist attraction over the years. You can also walk or cycle the Coastal Trail east, toward Hopeman, 2 miles away, which also has all the amenities above plus an 18 hole Golf Course. The city of Elgin is only 8 miles away and has the usual High Street Stores, Supermarkets etc, as well as a Leisure Centre which includes Swimming Pool, Ice Rink and Gym. Elgin also has a tenpin bowling alley and High Street Pubs and Clubs, and are all accessible from Burghead by car or a regular Bus Service. 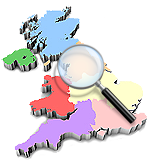 The City of Inverness is only a 45 minute drive west of Burghead and has a connecting Airport to many other UK airports.